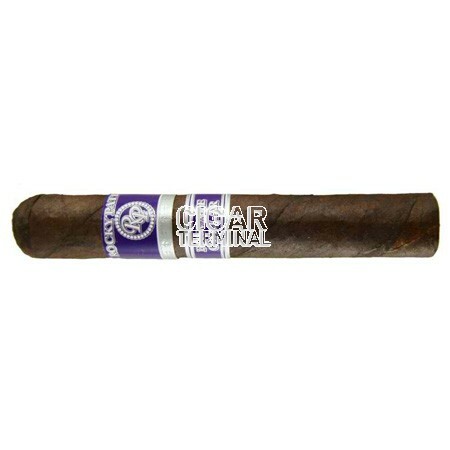 The Rocky Patel Private Cellar Robusto is a medium to full bodied premium cigar which is hand rolled with a Connecticut broadleaf wrapper with fillers and binder from the top growing regions of Nicaragua. The Rocky Patel Private Cellar Robusto is a medium to full bodied premium cigar which is hand rolled with a Connecticut broadleaf wrapper with fillers and binder from the top growing regions of Nicaragua. At first light your palate is filled with rich and sweet flavors which transition to notes of sweet spiciness, espresso bean and chocolate with earth notes. The Private Cellar finish is long, smooth and complex right to the end of this great smoke from Rocky.